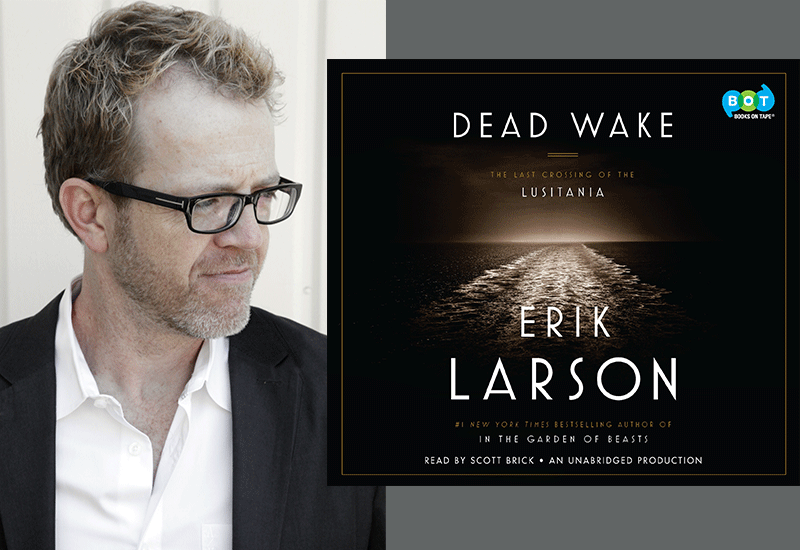 Scott Brick, narrator of hundreds of audiobooks, including the 2016 Listen List winner Dead Wake by Erik Larson (Books on Tape), will be joining RUSA’s ever popular conference highlight, Literary Tastes author panel. The panel features authors and narrators that have been named to one (and sometimes more) of RUSA’s Best of Lists for fiction, nonfiction, poetry and audiobook narration in 2018. Joining Brick on the panel is Thi Bui, author of The Best We Could Do, a 2018 Notable Book for Nonfiction and Kathleen Rooney, author of Lillian Boxfish Takes a Walk, a 2018 Listen List selection. Attendees will enjoy breakfast and book signings immediately following the event. In 2000, Brick ventured into narrating audiobooks and quickly found himself embraced by the audio world. To date he’s won over 50 Earphones Awards for his narrating skills, as well as two Audie Awards for his work on the Dune saga. After recording 250 titles in his first five years, Audiofile Magazine named Brick “one of the fastest-rising stars in the audiobook galaxy,” and proclaimed him a Golden Voice, but it was the Wall Street Journal that sealed the moniker with a front-page article in November, 2004. Having now recorded over 600 titles, including such classics as Mystic River, Fahrenheit 451, In Cold Blood and Helter Skelter, Brick has no intention of slowing down. In 2016, Booklist named Brick the “Voice of Choice” winner. Joyce Saricks, former Listen List selection committee member said, “Brick understands the significance of hearing stories. Radio was important to him growing up, and he believes that ‘the golden age of radio was the golden age of storytelling—it’s just the author’s words and the listener’s ear with nothing else in between.’ When he’s asked about the current popularity of audiobooks, he doesn’t credit the technology that has made listening so much easier on a wide range of devices. He speculates, instead, that ‘we were read to as children, and we miss it. Listening to radio as a kid and now listening to and narrating audiobooks as an adult reminds me of the times we were all read to as children. '” Read more of Sarick’s feature article on Brick here. Literary Tastes takes place on Sunday, June 24, 2018. Tickets are available on the conference website or you can add them to your registration with the code RUS3. One Response to "Popular narrator Scott Brick to join Literary Tastes panel"